Eileen is an artist, curator and producer. Born and raised in New York City, lived and worked in Dublin for six years, London for 30+ years and currently based in Suffolk, East Anglia, UK. Eileen’s background includes art, music, theatre, film, design and production. Throughout her career she has worked with international creative legends, political, cultural and faith leaders and local heroes. Her practice as a curator, artistic director and producer has included large scale, interdisciplinary live events, film festivals, arts and environment festivals, theatrical parades, experimental research and development arts programming and public art. Within the commercial creative industries work with international brands has included brand development and promotion, roadshows, press and PR. She was also a Director of the London based VGroup of companies providing comprehensive creative and production services to the arts, entertainment and promotions industry worldwide. As the artistic director of Haring Woods Studio since 1996, Eileen has originated and produced festivals and events pimarily in cities. HWS has been commissioned by landmark venues, local authorities, property developers, Arts Council England, international brands, media groups and the United Nations Environment Programme. As a consultant to Westminster City Council, London for over ten years, she provided creative and strategic expertise to a wide range of environment and planning initiatives. Eileen Woods was appointed Executive Director of the Global Parliament of Mayors Project in January 2014, to steer the development phase through the launch in The Hague in September 2016. She is now a member of the GPM Advisory Committee. Career highlights include: Broadway Shows, New York Film Festivals, London Film Festivals, Museum of the Moving Image (London), Regent Street Christmas Lights, London’s Grand Christma Parade, Covent Gaden Flower Festival, 10 years consulting with the City of Westminster, Artistic Director of Gunpowder Park (UK), The Art of Common Space, Interdependence Day. Eileen has been a member of business and community associations in New York and London. Michael comes from a background in commercial design, branding and retail promotion. As Managing Director for Vantage Design, the family business based in Wales and London, Michael led the company to become one of the most successful design and build companies in the UK. With Eileen, they regrouped as Vantage Productions & Events, expanding to the VGroup of companies providing creative services in retail design, brand development, promotions, specialist build, production, management and technical services to the arts and entertainment industries worldwide. Since relocating to Suffolk, Michael continues to guide the work of Haring Woods while also developing his own art practice, primarily with illustration and ceramics. He has recently launched Tricksterville.com, to celebrate all things trickster. Career highlights include: Designer of Regent Street Christmas Lights, 8 years art director and designer for Clarks and K Shoes, Harrods window and in store displays and grottoes, Art director and producer of London’s Grand Christmas Parade (3 yrs) and Covent Garden Flower Festival (5yrs). Executive Director of Gunpowder Park and Green Heart Partnership; award-winning complex public/private sector arts and environmental initiatives. Mark trained with Michael Woods and the Vantage team to become one of the leading production managers and specialist builders in the UK. As Studio Manager for Vantage Productions & Events, the VGroup and Haring Woods, Mark was responsible for realisation of the Regent Street Lights, London’s Grand Christmas Parade, the Covent Garden Flower Festival and many more conferences and special events. He has worked for many years with the top theatre producers including Cameron Mackintosh, Really Useful Group and PW Productions. Currently he travels around the world as project manager responsible for the installations of blockbuster hit shows and opera festivals. In the UK and abroad his ‘on the job’ training and mentoring of newcomers to the industry is helping to provide the next generation of specialist builders. Haring Woods and Observatorium have worked together since 2006 on R&D, placemaking and publishing projects. Based in Rotterdam, Observatorium has a strong reputation as artists, placemakers, writers and strategists, with major permanent installations across Europe and collaborations around the world. ‘In the grey areas and overlaps of urban design, landscape architecture, architecture and art, their artworks help to create new meaning and uses to sites and environments that are in transition. Professor of social and cultural geography at the Vrije Universiteit Brussel, inspiration and driving force behind the research centre COSMOPOLIS, City, Culture & Society. A colleague since 2006, Eric has worked with Haring Woods on the Interdependence Movement and the Global Parliament of Mayors. We worked closely with Sheila on the development of the Global Parliament of Mayors, and now as a fellow member of the GPM Advisory Committee. A leading voice on The City as a Commons, she supports our work in cities. A specialist in Latin American politics and culture, James has been associated with Haring Woods since 2006 through the Interdependence Movement. Rob is a director of this think tank based in Brazil devoted to evidence-based policy and action on complex security and development challenges. He is a prolific writer and regular speaker at Davos and the Chicago Forum on Global Cities. Connected to Haring Woods through the Global Parliament of Mayors, Rob extends our international reach in security policy, big data and connections with corporate and philanthropic leaders including Richard Branson. Small world story: we are both friends with author Misha Glenny. Jacqueline Davis, Executive Director of The New York Public Library for the Performing Arts at Lincoln Center, New York. Friends and colleagues since 2006, working together on Interdependence Day events, and connecting us with contemporary theatre. Jan-Gustav has been an associate since 2007, working with us on LivCom, UNEP’S Safe Planet Campaign and UN Habitat on our Place on Earth initiative and connects us with the UN Sustainable Development Goals. Professor Barber was a close friend and colleague for twelve years. 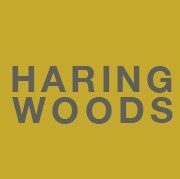 A renowned political theorist and author of seventeen books, founder of the Interdependence Movement and founder of the Global Parliament of Mayors, Benjamin positioned Haring Woods as key partners and advisors to his many projects. In turn, Benjamin joined the HWS team for major initiatives including The Art of Common Space and Perception Peterborough. We mourn his loss, his friendship and exquisite intellect which continues to influence our thinking and practice.